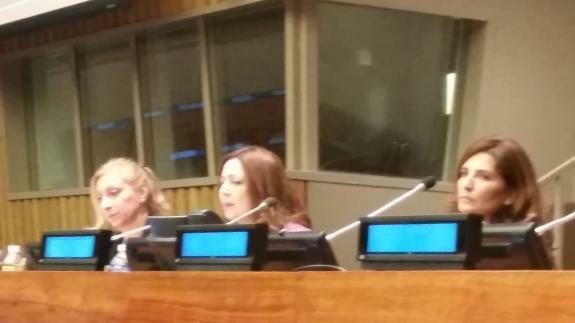 The USFMEP was honored to be present at the Women's International Forum, hosted in the United Nations Headquarters. The event included Mrs. Wided Bouchamaoui, the member of the Tunisian National Dialogue Quartet that won the Nobel Peace Prize in 2015. The USFMEP supports WIF's mission to empower the voices of women around the world within the discussion of current issues and political crises. We also wish to congratulate Ms. Bouchamaoui and the Tunisian National Dialogue Quartet for their efforts in securing peacei n Tunisia and preventing mass violence from the Jasmine Revolution. The USFMEP remains a strong advocate for peace, a catalyst which we believe necessary for any future cooperation and sustainable development.